"The scent you choose is often as important as what you wear." Most of you probably have a fragrance that you've choosen to stick with and understand the importance of smelling good, right? 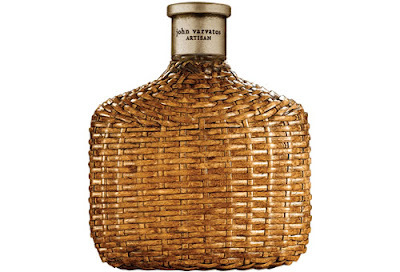 Well if your one of those people that answered no, than JV Artisan is definitely worth trying. The fragance is fresh, yet woodsy, a nice combination for an active man without smelling too active. I mean, you won't come off smelling like you've been in the forest all day. On top of that, the ratan shell and cool finish of the bottle is quite cool. Worth a shot if your still undecided as this may be that one scent you've been yearning for. *te invito a mi blog desde ya puedes ver mi nueva colección de zapatos!!! I invite you to my blog from already you can see my new collection of shoes!!! I wait you like it! je t'invite à mon blog depuis tu peux déjà voir ma nouvelle collection de chaussures!! !